Mahindra have updated their popular compact SUV, the KUV100, adding the NXT suffix. We drove it recently at the company’s Chakan facility near Pune. 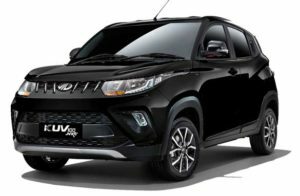 Keeping the buzz alive for the KUV100, which started a whole new segment last year, Mahindra have updated it adding more zing to the overall package. With the humble KUV100 becoming KUV100 NXT, the changes on the new model are more cosmetic than technical. Mahindra is offering the new KUV100 NXT in five variants – K2, K2+, K4+, K6+, and K8. We recently drove the K8 diesel variant at the company’s Chakan facility, which is also the birth place of the KUV100 NXT, and this is what we had to say. For Mahindra KUV100 NXT Check HDFC car loan. At exteriors, the majority of the design elements remain unchanged, yet the muscularity and aggressiveness is a notch above. The most obvious change can be seen in headlight cluster which now features dual chambers for low and high beam along with restyled indicators and DRLs. The revamped front bumpers make way for distinctive air dam and revised fog lamps, while the grille too gets nice chrome treatment. The contrasting silver skid plate at the bottom is well defined and gives the car a more rugged look. Further solidifying KUV100’s look is the inclusion of 15-inch sporty diamond cut alloy wheels and new ORVMs with integrated turn indicators. The door handles at the back are now black in colour and looks nothing like before. Other visible changes at the back are in the form of restyled bumper, new integrated spoiler and revised tailgate with new creases running across. The tail lights get a clear lens covering while the dual tone colour scheme makes the car more palatable to senses. The inside of KUV100 features a great deal of refinements. The dashboard is similar to the earlier version, however, the cabin is not much darker, thanks to the fabrics and light coloured plastics. And it looks all the good with all those textures on the dashboard, piano black inserts and silver accents giving it a touch of premiumness. The most evident change inside is the addition of new 7-inch touchscreen infotainment which can be availed in the mid and top variants. The system host plenty of tech including connectivity options for USB, Bluetooth and Aux-In. The intuitive touchscreen infotainment can also be voice controlled along with full-fledged GPS navigation and facility of image and video playback. Another interesting aspect of the infotainment is the new driver information display that keeps you updated on vital stats of the vehicle such as mileage, distance to empty and visuals for the rear parking sensors. The decibels are amplified by 4-speakers with 2 tweeters. The Mahindra KUV100 engine line-up consists of all-new mFALCON petrol and diesel units, for the gasoline and diesel trims respectively. The two petrol variants employ a 1.2 litre, mFALCON G80 petrol engine good for top power of 82 bhp at 5500 RPM along with maximum torque of 115 Nm between 3500 – 3600 RPM. Diesel variants derive power from the 1.2 litre, mFALCON G75 diesel powertrain, which is tuned to yield pinnacle power output of 77 bhp at 3750 RPM and zenith torque of 190 Nm torque between 1750 – 2250 RPM. Mahindra KUV100 transmission is a conventional five-speed manual gearbox and drive is delivered to the front wheels. Mahindra has installed micro-hybrid technology in the car which gives about 3-4 percent boost to the overall fuel efficiency. This makes the diesel engine capable of delivering 23kmpl and the petrol one to return ARAI certified 17.45kmpl.Fuel economy delivered by the petrol-powered KUV100 is 21.4 kmpl. The diesel variants, on the other hand, are capable of pulling off 27.39 kms in a litre, which is the best in the segment. Handling and ride-quality wise, the KUV100 NXT is identical to the earlier one. The ride-quality is good as it absorbs bumps and undulations well without sending any of the shock to the cabin. The softer suspension setup is excellent as far as ride-quality is concerned, however, when you consider handling, the KUV100 NXT clearly doesn’t like to be pushed enthusiastically. There is considerable amount of body roll which eats into the fun factor. However, drive the KUV at a gentler pace and it remains calm and composed throughout the corner. The steering has good and positive feel to it, however, it can do with a tad more feedback. The disc upfront and drum at the rear provides the needed braking force to the car. The braking mechanism is further supplemented by anti-lock braking system with electronic brakeforce distribution. Further, the car’s safety quotient is strengthened by dual front airbags which are available across the trims, save the base K2 variant. Other safety features include ISOFIX child seat mounts, rear parking sensors, child safety locks, speed sensing auto door locks, anti-theft security, automatic hazard warning lamps among others. Mahindra Kuv100 Nxt On-Road Price in Pune ranges from 4,96,863 to 8,50,721 for variants KUV100 NXT K2 Petrol and KUV100 NXT K8 Dual Tone Diesel respectively. Mahindra Kuv100 Nxt is available in 12 variants and 6 colours. Below are details of Mahindra Kuv100 Nxt variants price in Pune. Check for Mahindra KUV100 NXT price in Pune at Autozhop.